Schooners Lettie G Howard and Pioneer, both owned and operated by the South Street Seaport Museum in New York CIty. Nice work JCFrankie. 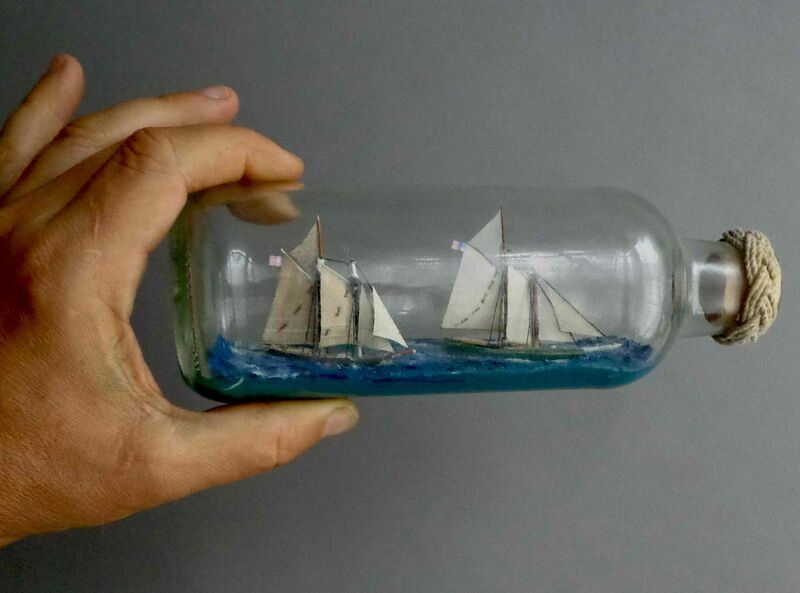 I like two ships in the bottle as it show action. Two for one and one for two! Hurrah!